There’s more to an Entertaining Blog than a meme, a photo and a joke. Regardless of whether you are using your blog for entertainment or serious journalism, entertaining and captivating blogs are among the cornerstone of the internet. Coming straight out of the gate with strong posts will ensure a loyal readership. 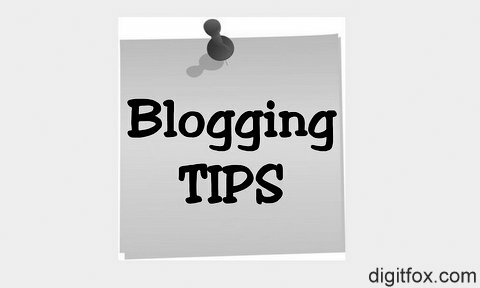 Regardless of your blog’s topic there are certain rules that you the blogger have to follow to keep your posts interesting. Whether you are writing news, poetry, online journal or photos, there are five basics to keeping your blog entertaining. Updating consistently is an essential factor to maintaining any blog. However, a creative update schedule can be exceptionally effective in drawing in readers. For example, if you are focused on politics and update five times a week, you can take advantage of your frequency as a way of presenting an argument in the fullest detail you can. Or if you are covering a trade show for a technology blog, you can make Twitter long updates all day, gather all the micro-blogs at the end of the day and post online. Creative use of time and schedule can help keep sometimes mundane topics seem interesting. Depending on your level of experience with social media, your blogs can become interactive. By using Facebook, Twitter, Tumblr and other social media, websites are all connected now with a single update. Instead of using several pages to say the same thing, use several pages to say several things. Use the tools at hand the way they are meant to be used and it will help keep your readers updated with your every thought. Being alone on the internet is only for the brave, making friends with other bloggers is a mutually beneficial relationship. You never know who’s going to get lucky and become more popular. Having guest blog posts can be great to change things up slightly, especially when some time off is needed and the fan base is especially grumpy with the latest updates. One of the most important features of any good blog has been a visual aid of some kind, most often it’s a photo. Take advantage of the eye being drawn to the focus point of a picture, add a funny caption, add a serious and captivating caption, it doesn’t matter, you have their attention make it worth reading. Fairly self-explanatory, your life may not be relevant to the topic of your blog, but if you can relate on a personal level, then do so. If you can throw in an anecdote, a story about a family member or a friend which connects the reader to your words; you can hold their attention longer and on a better level. I am Susan Hannan from Test4prep; it gives 100% 70-452 test exams. Let’s take benefit of 70-483 test Exams material efficiently and get guaranteed success. Check out free demo of all certifications Exam.